Thursday (Jan. 28) during a Hubble Hangout, University of Notre Dame astrophysicist Nicolas Lehner will discuss a new study about high velocity clouds around the Milky Way Galaxy that were jettisoned and are falling back in. The Hubble Hangout, titled “Monstrous Cloud Boomerangs Back Into Our Galaxy,” will take place at 3 p.m. EST Thursday. 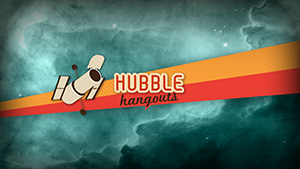 Hubble Hangouts are designed to engage everyone involved in astronomy research and outreach. Participants can join the hangout and ask questions via this link. Further details on this study, including images and the press release, will be available at 3 p.m. Thursday on news.nd.edu and www.HubbleSite.org. Originally published by Mandy Kinnucan at news.nd.edu on January 28, 2016.